﻿ Olivas Bookkeeping & Income Tax Service of Odessa, Texas provides bookkeeping and income tax preparation services. We at Olivas Bookkeeping & Income Tax Service of Odessa, Texas maintain a professional and ethical bookkeeping and tax preparation service. We go out of our way to satisfy our client's expectations. 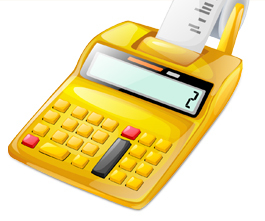 We provide our clients with competent, professional bookkeeping and tax services. We enjoy keeping accurate and up-to-date record keeping and completing tax preparation files for our clients. Services to our clients can be conducted in either English or Spanish. We respond quickly to our clients needs. Our strengths in accurate, and proficient services, give our clients confidence. Whether you need services for bookkeeping and tax preparation or just one of these services, we can assess your needs and help you get the answers you want. Browse our site to learn more about what we offer. If you have any questions or concerns, don’t hesitate to contact us anytime. Copyright © Olivas Bookkeeping & Income Tax Service, 2015. All rights reserved.